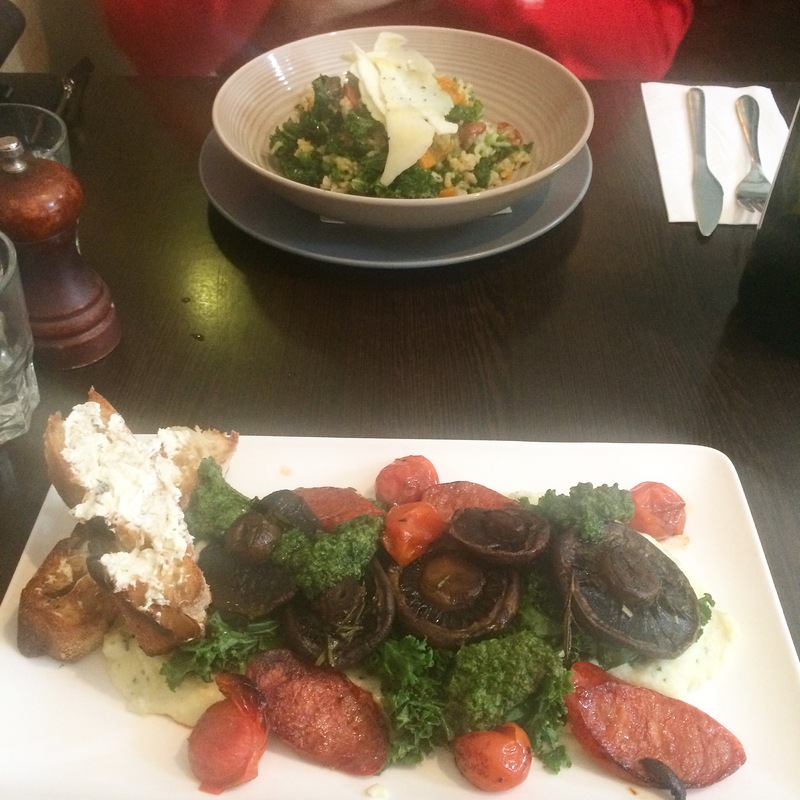 We were in New Farm for lunch and surrounded by lots of cafes on my to do list! The decision was too hard but we settled for Pablo. Boasting an all day breakfast and extensive lunch menu it was a very tough choice! Everything looked too good! We opted for the Risotto (Rosemary roasted pumpkin, baby peas, chorizo and kale) $18- and from the breakfast menu Confit Portobello Mushrooms (served over white polenta with chorizo, kale, roasted cherry tomatoes, and a chia & herb dressing, with toasted Turkish fingers with marinated feta) $17. 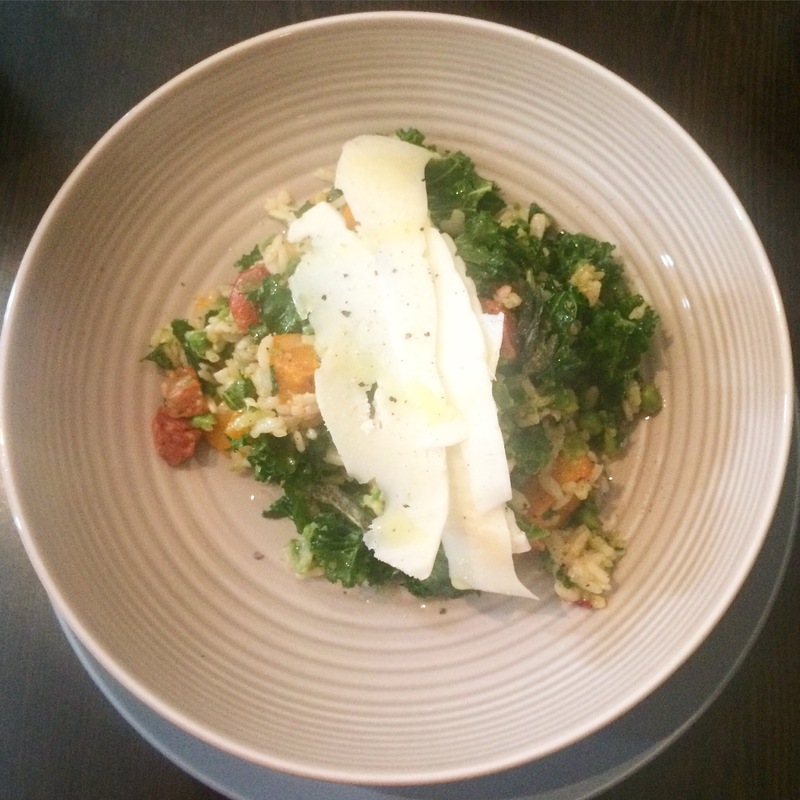 The Risotto was more like a salad than a creamy risotto which suited the mixture of fresh flavours. 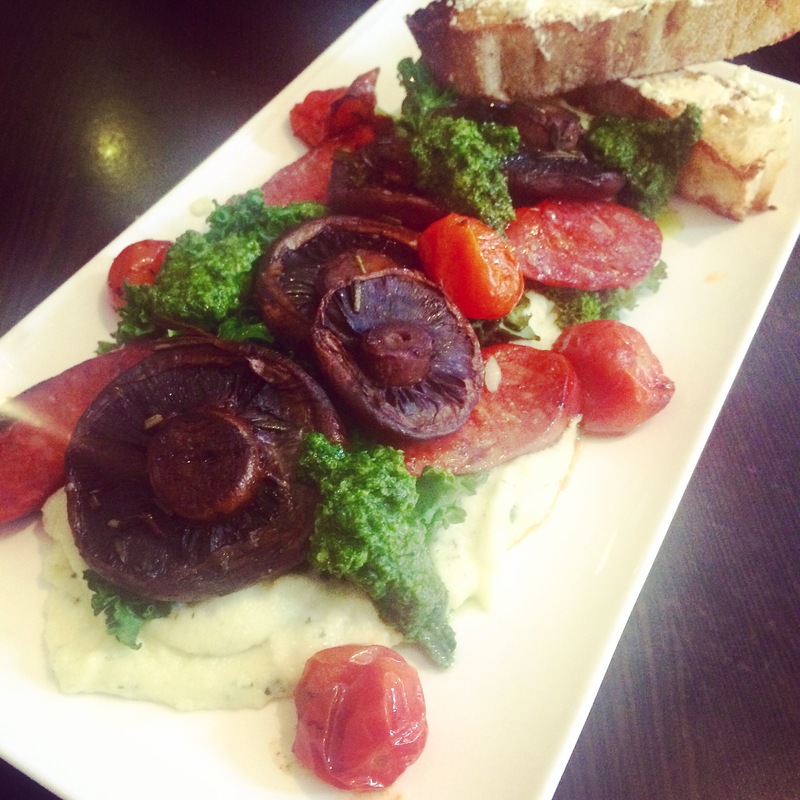 The mushrooms were perfectly cooked although instead of a chia and herb dressing the dish arrived with a fresh pesto. 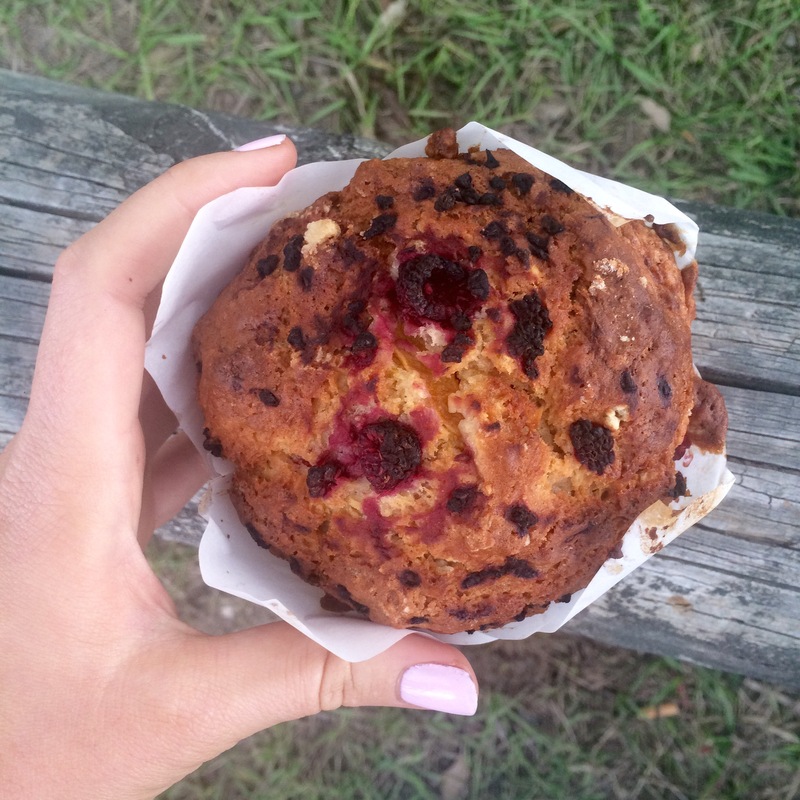 Pablo’s Instagram page boasts an extensive array of daily muffins so being a big muffin enthusiast we had to try the Muffin of the Day “raspberry, mango and coconut.” Unfortunately, there weren’t enough raspberries and it was a bit sone like or doughie. Pablo is in a prime location, on the corner of Merthyr Road and Brunswick Street. Initially, we were worried because we could only see street side seating and a couple of indoor tables but then the store front opened to 15 more seats. It was relatively busy for a Monday, the waitress was very fast and efficient and managed the cafe well. Our food arrived in good time, although the mushrooms were slightly cold. The Verdict: Pablo was a great cafe with a fun atmosphere. 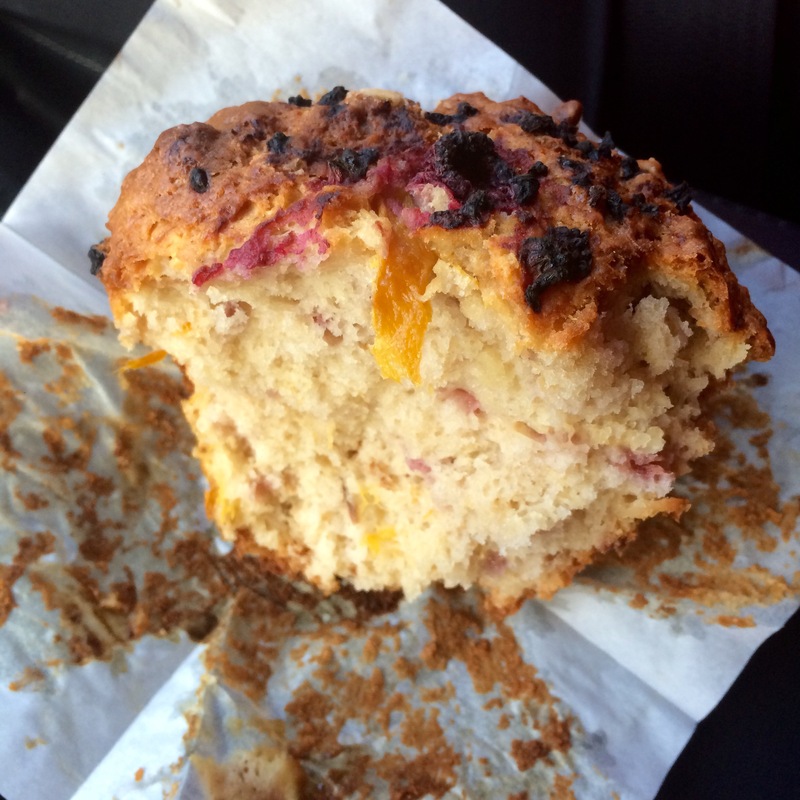 I would give my experience at Pablo (minus the muffin) an 8/10. I would definitely recommend this cafe and will be back!